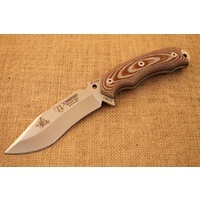 Designed in collaboration with the Voetspore team of South Africa. 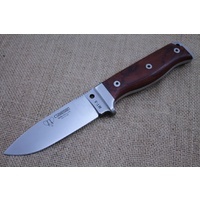 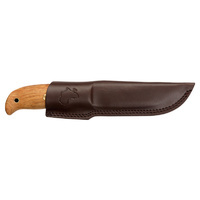 This knife was designed to withstand the hardships of transcontinental of Africa. 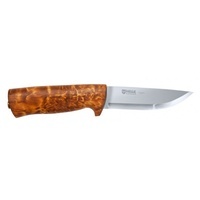 Named after the Didi Galgalu Desert in Northern Kenya, seen by many as the last frontier of Africa. 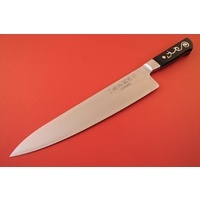 The Didi Galgalu utilizes a full tang construction. 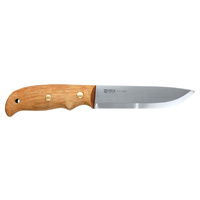 Three rivets reinforce the African Kiaat wood handle to the blade tang. 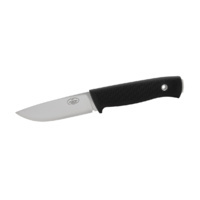 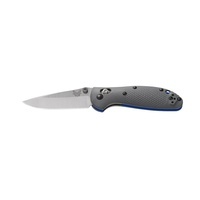 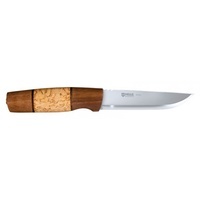 The blade thin enough to preform as a knife should when cutting or carving. 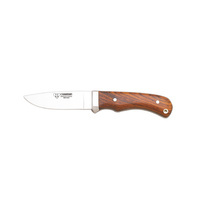 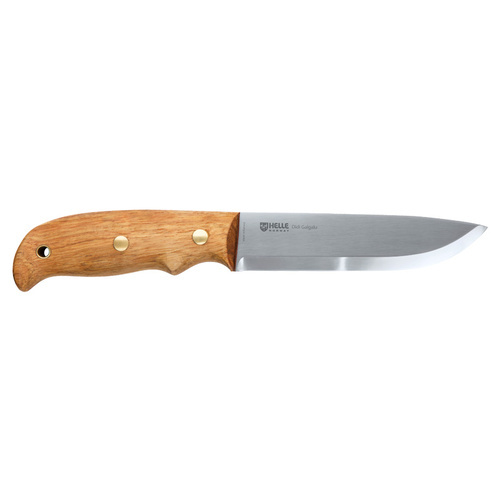 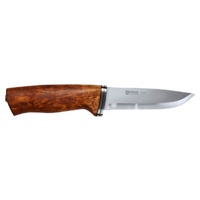 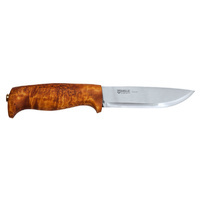 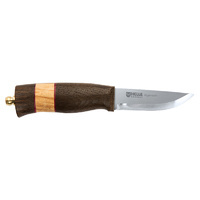 The Scandinavian ground blade, genuine leather sheath, and Kiaat-wood handle assure Helle’s renowned rugged beauty.